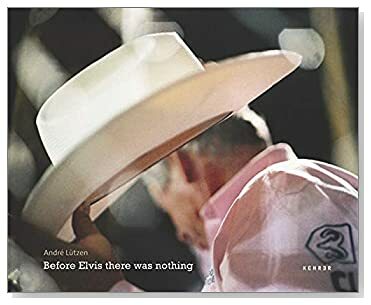 Before Elvis there was nothing. Photographs by André Lützen. Text by F.C. Gundlach and Nora Luttmer. Kehrer Verlag, 2008. 112 pp., 70 color illustrations., 11¾x9½". Fifty years after Robert Frank’s The Americans, the German photographer André Lützen sets off on his own odyssey through everyday life in America. His road trip takes us from Colorado to Mississippi. The series radiates Lützen’s own singular style: documentary photography that derives its vitality from atmosphere and movement while also evoking aspects of self-imposed solitude. The mood here is a strange mix of poetic tranquility and aimless restlessness. Focusing on commonplace things, these images unflinchingly expose the depths and shallows of the American dream.